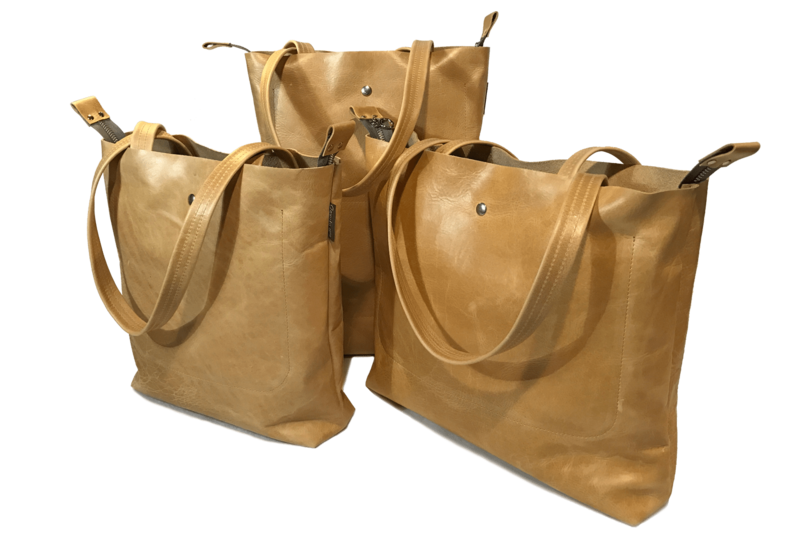 This leather bag is easy to carry over the shoulder and does not drag on the floor when carried loose in the hand. 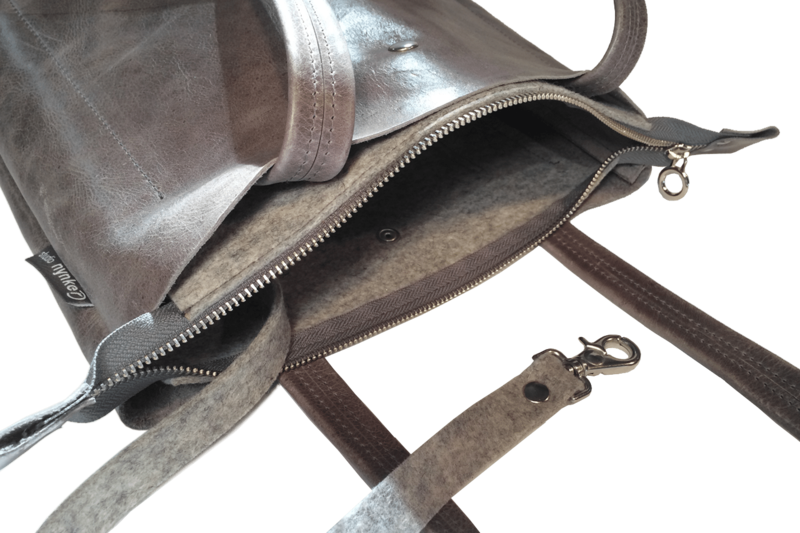 The bag has a zipper and the two compartments can be snapped shut. There is a long cord on the inside for attaching your keys, making them easier to find. 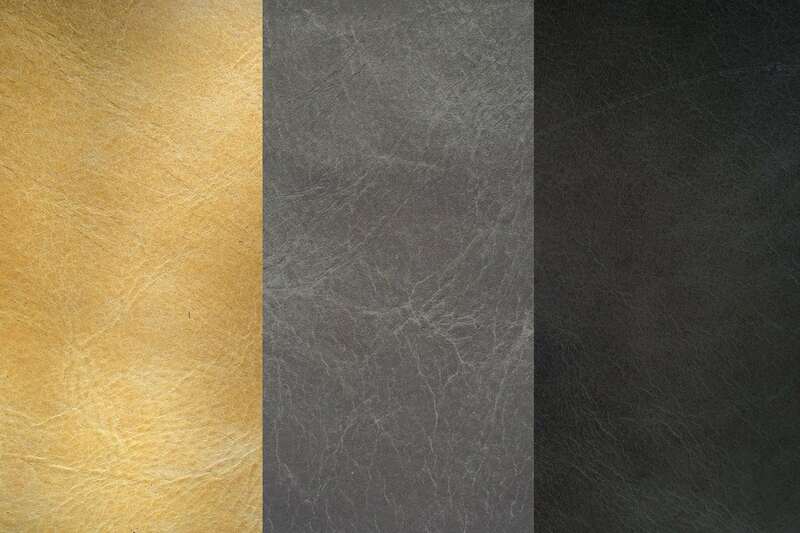 The leather used for the bag is soft with an aged structure. 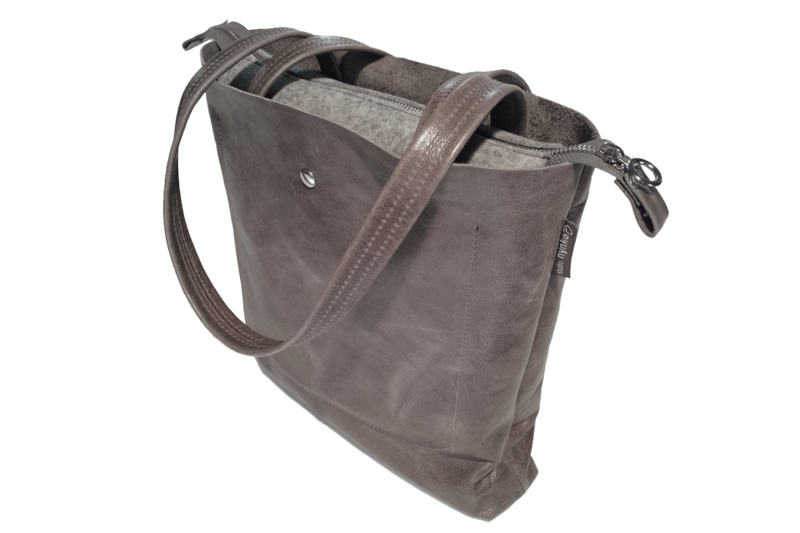 The bag is lined with 3 mm blended grey wool felt.